I’m so ready to move on from the Holidays. In my business, Christmas ideas start in July with our pre-orders. I am certainly not complaining but I am ready for anything but Christmas ideas now. I spent a few hours yesterday just tidying up my office. 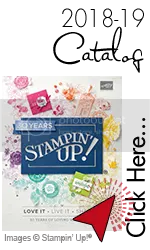 More of it today as I put away everything Christmas including the stamp sets. But not to far put away. Did you know some of the holiday sets do have stamps in them that you could use all year long. Winter is the Season and you may still see a bit of the papers from This Christmas Specialty DSP show up in a future post. Just preparing you. But for now-it’s anything but Christmas. 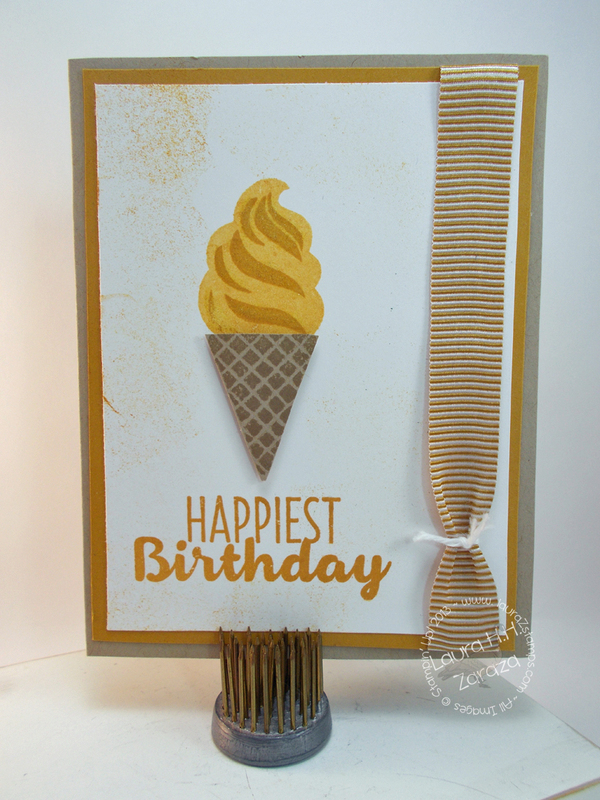 I have for you a fun Happy birthday card made with Cool Treats, a new stamp set found in the Occasions catalog. Beginning Wed. the 4th, you will be able to order this along with the Frozen Treats Framelit Dies as a bundle. 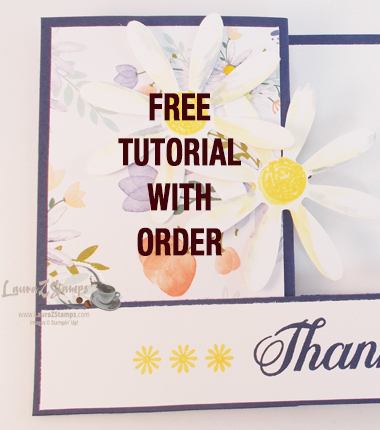 I demonstrated this card for my Hartford Ladies Stamp Club last month but I realized I forgot to order the framelits. I got the set as a gift from the On Stage event for Demonstrators in November but forgot to place the order for the extras. 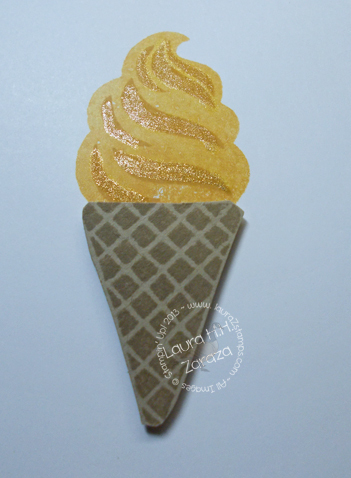 Normally the frozen ice cream would have been layered but I instead stamped it on the Whisper White CS first, stamped the cone on scrap and cut that out and layered. I’m pleased how it turned out. A little sponging and of course, you have to add Wink of Stella to Jazz it up. The main color is Delightful Dijon. I really love this set. Wait until you see the DSP that goes with it. YUM! Beginning January 4th, the Occasions Catalog goes LIVE along with SALE-A-BRATION!! !